George Wyatt, the son of a groom, was born in Worcester on 5th September 1886. 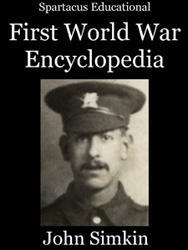 After attending Holloway School at Droitwich, Wyatt enlisted in the Coldstream Guards at Birmingham in November, 1904. After serving in Egypt for two and a half years, he left the British Army in November, 1904. Wyatt joined the Barnsley Police Force but on the outbreak of the First World War he was recalled as a reservist. He rejoined the Coldstream Guards and as a member of the British Expeditionary Force left for France on 14th August, 1914. Soon after arriving on the Western Front Wyatt took part in the Battle of Mons. On two occasions he displayed outstanding bravery and was awarded the Victoria Cross. It was presented to him at Buckingham Palace on 4th March 1916. Wyatt returned to France and on 28th February was promoted to Lance-Sergeant. He was wounded on two occasions but survived the war. Wyatt returned to the police force and in June 1924 bravely stopped a runaway horse. He retired from the police in February 1934 and took up farming. George Wyatt died on 22nd January 1964 and is buried at Cadeby Cemetery near Doncaster. 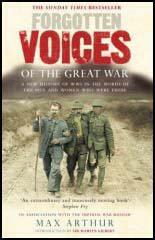 (1) After the war George Wyatt, was interviewed about winning the Victoria Cross. Well, there's not much for me to say about it. I just did as I was told. During the retirement from Mons the 3rd Coldstream Guards reached Landrecis. It was dark at the time, and there we were attacked by a large number of Germans who must have been rushed up in motor lorries. We lost our machine-gun, and had to rely solely upon rifle and bayonet. Suddenly something flared up between us and the enemy, and Major Matheson shouted, "Put out that light". So I did it. I never thought it would bring me the Victoria Cross. How did I put the fire out? Oh, I jumped on it and dragged some equipment over it. After a while it burst out again, and I ran back and extinguished it. Yes, there was heavy fire from the Germans when I first obeyed the order. That affair at Villers Cotterets. I got hit on the head and went on firing. That's all.